Sadly time had come to say ‘see you later’ to Bart & Marijke and Brendan & Lucy. There was a last minute panic while JYC remembered that he had left his trip logger in Brendan’s car, but that was retrieved before they set out on the exploits. We took the traditional Welcome to Taltal picture – it seems more appropriate when you leave – kind of preparation for the next visit. We decided to go home through the Pan de Azucar and could not pass Smiler without another visit – he says hello! (S2934) I remembered that I had seen a couple of C. serpentisulcata there in 2003 – towards the back of the place (or front, depending which way you’re facing). I was surprised that I had remembered correctly and that they were still there. 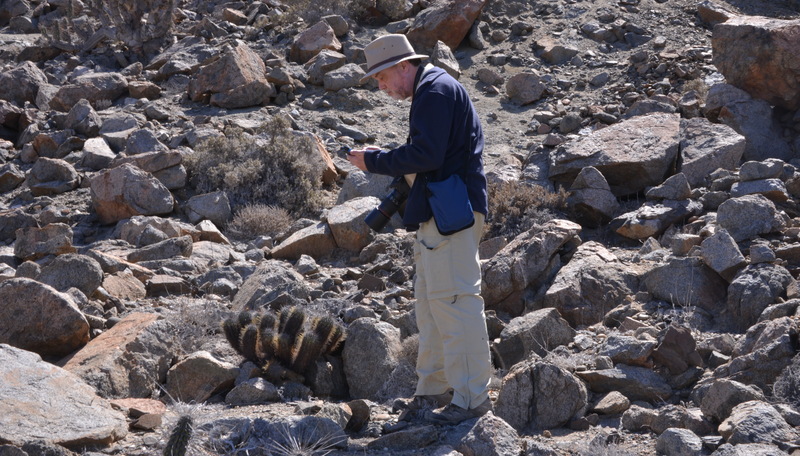 JYC keyed them into his Copiapoa ID App and it reported them as C. serpentisulcata without any help from me, so well done! A quick Expresso & Hot Dog at the Copec in Caldera and a drive through the town – seemed tidier since previous visits! 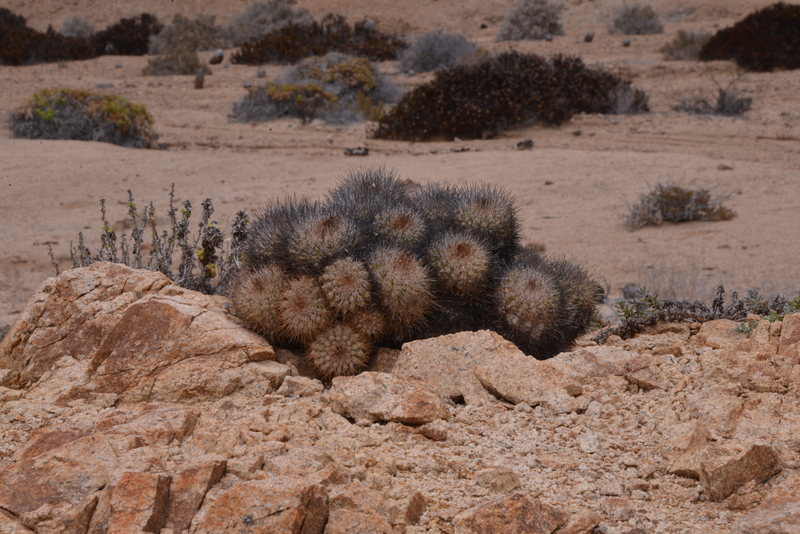 and on to Bahia Inglesa and Morro Copiapo as JYC still needed to see C. marginata (C. bridgesii ‘cultivated’ in Pan de Azucar’s Cactarium does not count). We stayed at the bay side of the Morro (S2935) as time was clicking by and we still needed accommodation. We found a few plants that keyed out as C. echinoides. Bit more work to be done. Accommodation turned out to be a problem. There was a mining conference on (in Roccas de Bahia? There was a fleet of some 30 cars waiting outside!) but the hotel that Brendan & Lucy had tried earlier was full too. So on to Caldera where we first tried Puerto del Sol – full. Time was moving on now and I thought about heading for Vallenar, but e.t.a. there would have been close to 21:00. So I tried SatNav which found a new (to us) hotel, Mirador, on the outskirts of town. They were full too, but the owner was keen to squeeze us in and showed us the emergency room, next to the office. One double bed only and while JYC & I remain good friends, not THAT good! Another room was found, this time with 2 beds, so all was well. But where to eat? Puerto del Sol was good last time and the Dutch speaking waiter let us in. Sorted!